This painting took years to take its final form here. I believe it lived as two “finished” paintings. But honestly I knew it was never quite right. The thing about sticking with the painting though is that the sense of history is apparent with this piece. So many layers built up on one another. A history of mark making and painting and additions inherent with each layer. 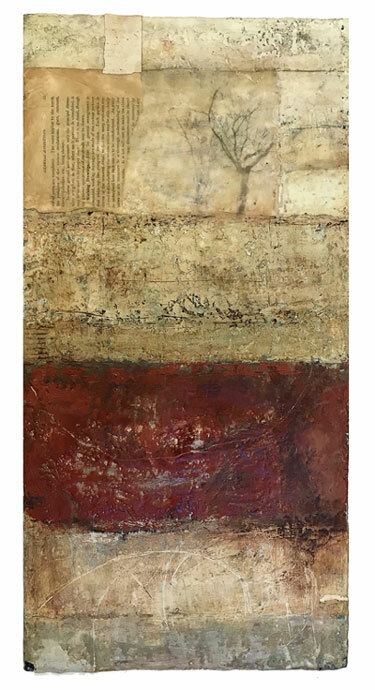 With encaustic, one can reveal the past through scraping and scratching through. There is an element of surprise during this type of creative process. A sense of letting go and seeing what reappears. A ghost of a former self making itself known.